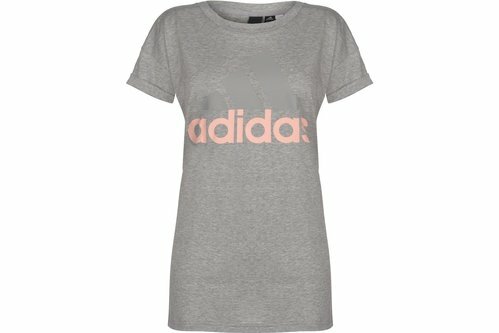 Ready for a slouchy day or wanting to steal his style look street ready in this adidas Boyfriend T-Shirt LAdies in Med Grey. Great for training or casual wear, the adidas Boyfriend T-Shirt is crafted with short sleeves, roll-up cuffs and a crew neck. adidas branding is printed in large across the chest for a fashionable finish.